Our three- and four-bedroom townhomes were designed with you in mind, so you can find the perfect fit! Each bedroom includes its own individual bathroom and large walk-in closet for ultimate convenience, and all units include a washer and dryer. Stainless steel kitchen appliances and granite countertops, along with contemporary interior finishes, add to the upscale look and feel of your townhome. 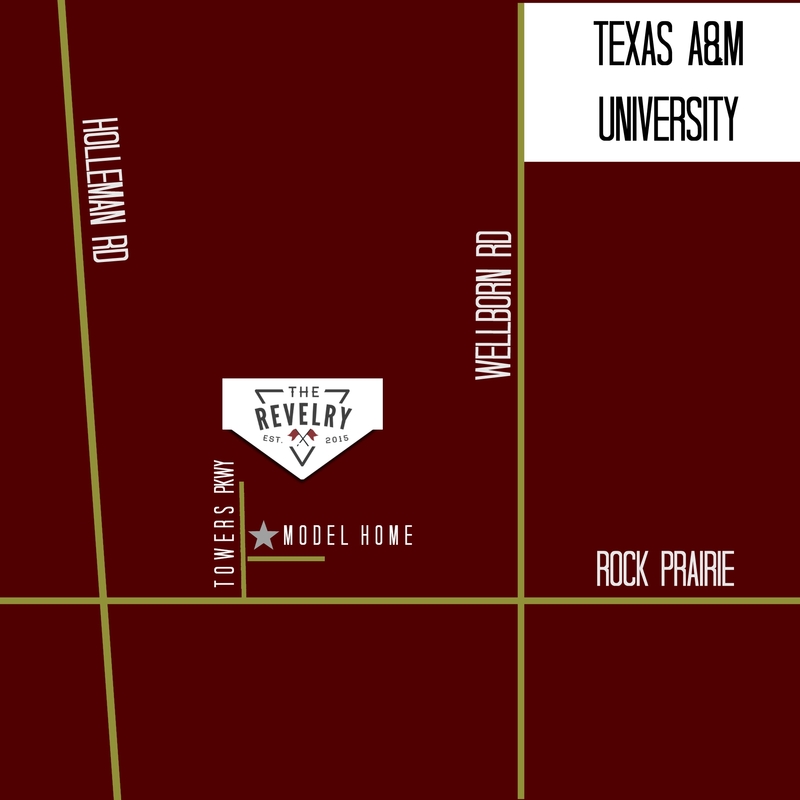 We have everything you need to live like an Aggie right here at The Revelry! If you’re interested in renting a townhome, just email us at Sales@revelrytownhomes.com or click on the floorplan you’re interested to APPLY NOW (Four Bedroom and Three Bedroom). Come in NOW to check out our current leasing specials! Call Julia at 224.828.9751 for more information or to schedule a showing!